« Custom 1936 WL. Extending Harley-Davidson Bloodline. 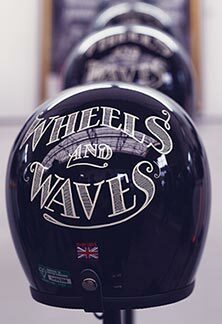 Indian Becomes Official Sponsor Of Wheels & Waves 2017. Published by Cyril Huze April 25th, 2017	in Builders, Customs, Editorial and Events. Indian Motorcycle attended Wheels & Waves for the first time last year, and this year the brand is going back as an official partner for the show in Biarritz, France. 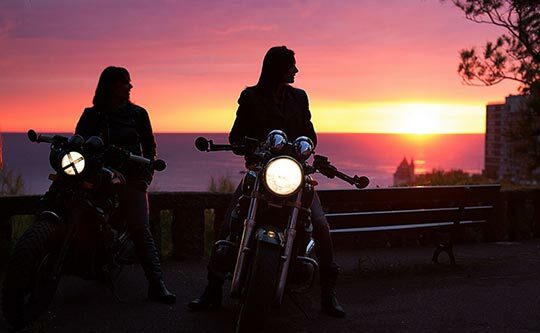 Wheels & Waves is held at various locations near Biarritz and brings together art, action, surfing and motorcycling over five action-packed days from Wednesday 14th June to Sunday 18th June. Then the schedule of special events is as follows. Attending these will involve riding back and forth across the border into Spain: WEDNESDAY El Rollo. Flat track racing at El Rollo held at the www.hipodromoa.com. THURSDAY Art Ride. Everyone rides to the ARTRIDE III art exhibition at Casa Ciriza in Spain. FRIDAY Punks Peak. Held on the GI-3440 mountain road between San Sebastian and the airport. SATURDAY The Ride. Join a ride out through the Basque country. SUNDAY Recover. Chill out on the beach or wander around the village near Ocean City.